The second golden age begins with The Little Mermaid and arguably runs through Beauty and the Beast, Aladdin and The Lion King. If we count Pixar films, we could stretch that definition but that is an entirely different argument. Since those four, Disney has put out films that are good (The Emperor’s New Groove), films that are awful (Dinosaur) and a lot of films that are somewhere in the middle (Hercules, Pocahontas). Yet they haven’t managed to match the consistent quality they produced during that extraordinary run. Those four movies revived the Disney brand to a remarkable extent. They managed to re-create Disney as a modern company producing films that appealed to modern kids. They were so good that even something as horrible as Home on the Range can’t tarnish the company image because all you need is one rousing production of “Be our Guest” to bring everyone back in line. What makes these four movies such a high water mark for the company is the way it recaptured their earlier identity. Disney is a company that trades in fairy tales. For a long time, they weren’t telling fairy tales. Singing dogs voiced by Billy Joel are not fairy tales. Heck, for a long time, there weren’t telling many new stories at all. Their animation output seemed to all but shut down. 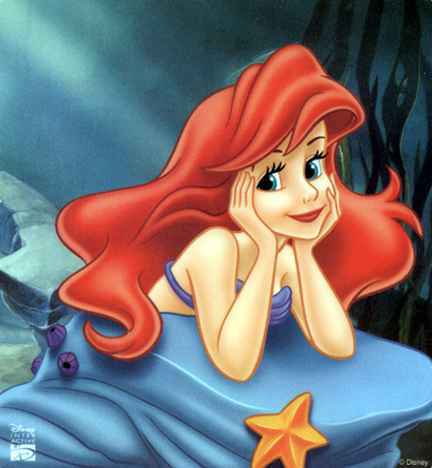 The 1980’s were particularly sparse – until The Little Mermaid in 1989. Suddenly, they had learned how to tell a fairy tale again. Mermaids and enchanted castles and talking lions are the stuff that Disney should have been made of. For the first time since Disney had died, it seemed like someone – or a lot of someones – in the company got that again. There are books written about that time period in Disney history and I haven’t read any of them. I can only go by what that series of films made me feel. I was a cynical adult when the second golden age began but those films pulled me right in. They made me want to see the next Disney film that came out. Even if it looked like it was going to be horrifyingly bad. I’m still looking at you, Home on the Range. I’m not suggesting these are perfect films. Rather, I’m suggesting they were perfectly positioned to turn Disney into the top name in animation again. Whether they are still there is another debate entirely. The fact Pixar continues to pants them at the box office and at award ceremonies is telling. But hey, who is it that owns Pixar? I dunno. I guess….what is all this stuff? What you call the first golden age of Disney really took place during the Golden Age of American animation. It wasn’t just Disney. Also you’ve got your movie order all mixed around, start with Snow White because obviously. And the era didn’t arguably end with Jungle Book, it ended with Jungle Book. Because Disney died. The year before it was released. It was the last film he worked on. And what you call the second golden age of Disney is really called the Disney Renaissance. It’s an actual thing. Now maybe you know all of this…heck, you probably do. So what did I just read, then? This is just the thoughts I had in my head after watching “The Little Mermaid.” It is in no way meant to be an official designation of anything. I did not make any attempt to list things chronologically because that didn’t seem relevant. Of course “Snow White” came first and of course “The Jungle Book” ended that first age because of Disney’s death. So what did you just read? I don’t know. I guess something you didn’t particularly enjoy. Sorry.